I'm quite the Discworld fan, as some regular Geeky Guide readers should know by now. I got hooked on the series thanks to one of my college block mates and there has been no turning back ever since. I was delighted to find out that a friend of Tobie's was offering his copy of The Art of Discworld for sale (his reasons are unknown to me). At first I worried that the book would (A) be priced rather high or (B) would be in poor condition given we are talking about the secondhand market here. But lo and behold the book was nearly as good as new, covered in plastic and at a pretty great price. You have to love it when you get to experience the love someone had for a particular book given how pristine it is when you finally pick it up yourself. I don't typically go for these sorts of art books since they take up a lot of space, tend to be highly expensive and don't offer much beyond some pretty pictures. However I have to admit that Paul Kidby has done some amazing things for the Discworld universe through his art given how uniquely he has managed to capture each and every character. Whether in the form of book covers or beautiful posters, Kidby has pretty much defined the Discworld universe for all of us. And this book clearly celebrates the marriage of beauty and humor he has brought into the world through his interpretation of popular characters, locations and events. 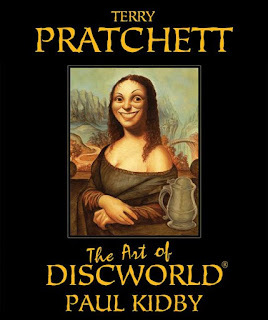 Synopsis: The Art of Discworld is an art book that pretty much profiles notable characters from Terry Pratchett's Discworld series featuring the art of Paul Kidby. 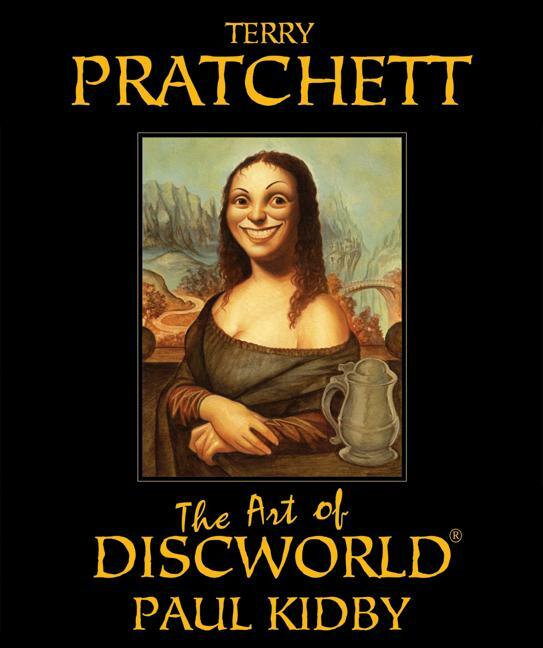 Released in 2004, the book features commentary by Sir Terry Pratchett himself along with occasional background details from Paul Kidby regarding how certain covers and poster graphics were developed. Back in the day, the covers of the various Discworld novels (at least for the U.K. editions) were created by one Josh Kirby, who sadly passed on back in 2001. He had a rather unique and quite cartoonish style to his art that certainly gave the books a lot of character even if they didn't always follow the actual character descriptions in the books. And given how boring the US editions tend to be with their rather simplified iconography, the UK editions of the books always felt like a lot more fun to have despite their unusual dimensions and how they don't quite line up well no my shelf. But that eventually changed when Paul Kidby took over the role as primary cover artist for the novels, resulting in some rather beautiful pictures - hence the creation of this book. 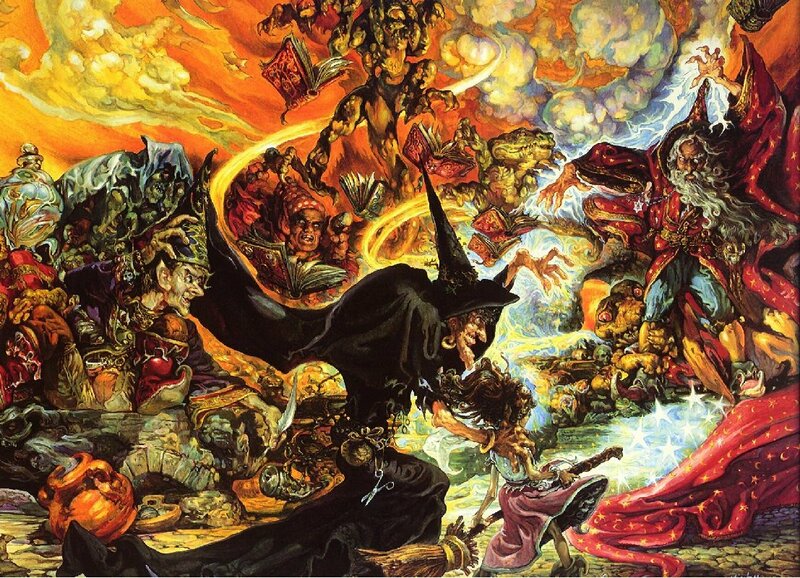 The Art of Discworld plays out as both an amazing collection of Paul Kidby's various paintings but a fun who's-who of Discworld as written by Terry Pratchett himself. Thus at times the book seems to read like a Discworld-style history book as they go into details about how the City of Ankh-Morpork was formed or who exactly the Witches of Lancre are. But then you'll also get fun tidbits like why Mort is drawn wearing pantaloons and little insights into the life and times of Greebo (and to some extent the cat that inspired his distinct look). I did my best to savor this book over an extended period of time, but of course my eagerness got the better of me. Still, the many full page panels alongside earlier sketches of the same images make for a fascinating visual journey that you're going to want to repeat from time to time. 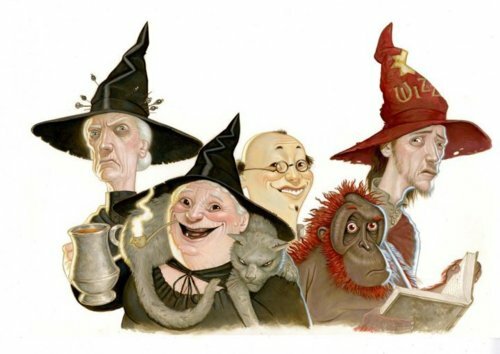 If anything, Paul Kidby's art features a lot of interesting detail about the characters that you'll probably miss on the first pass or when you had first seen the book cover but then will now be able to better appreciate given how they're all a lot larger. The Art of Discworld is a great addition to any Discwoorld fan's shelf and is a unique visual diary of the crazy characters we've all come to love. It just goes to show that the best art tends to come from those who intimately know the source material and thus it becomes clear there's the heart of the fan involved in every piece. Thus the book gets a well-merited 5 panels covering Death and his family (some of my favorite characters, I have to admit) out of a possible 5.